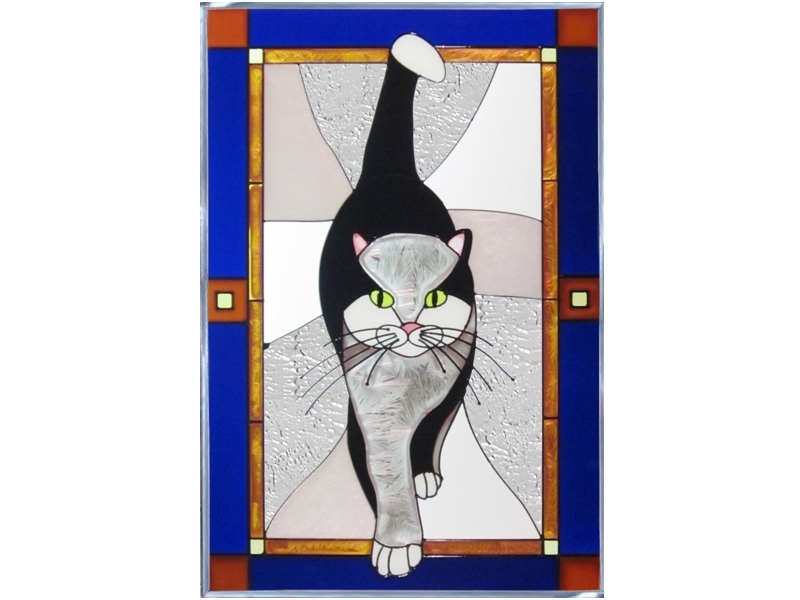 "CAT Stained Art Glass Suncatcher" This inquisitive black white cat seems to step right out of the striking purple frame to greet you! Meticulously hand-painted and zinc-framed, this horizontal panel measures 14" wide x 20.5" high, and features two soldered metal rings along the top for hanging. **FREE Chain Kit Included. Made in the USA by Silver Creek.